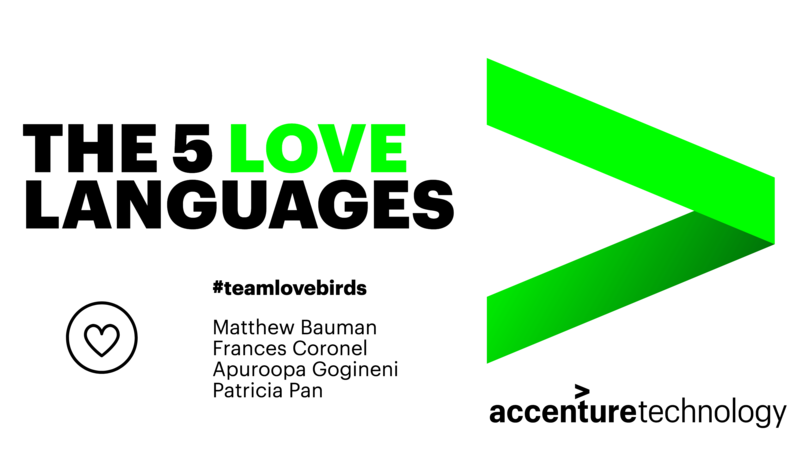 Our #lovebirds team from Accenture won 3rd place at the Amazon Alexa hackathon for our proposal and demo of an Alexa skill that quizzes users on “The 5 Love Languages” by Gary Chapman. Amazon Alexa Hackathon San Francisco, CA Accenture + Amazon We won 3rd place for our proposal and demo of the Alexa skill for "The 5 Love Languages" quiz. No copyright intended.